Since my leave have been approved, I decided to fully utilizing it for travel. Well not all of it. 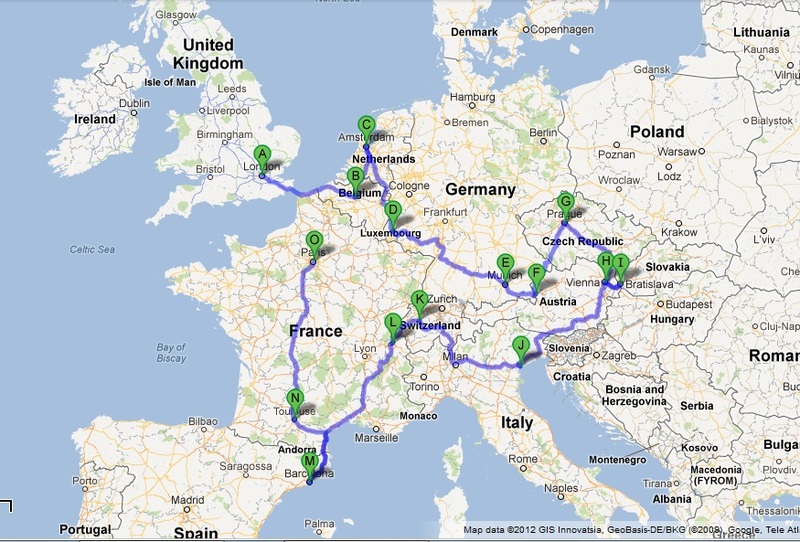 Just in total of one month to tour around the Europe. I wonder how it will turn out. So far I haven't plan anything yet properly. All I did was booking and confirmed my flight ticket. The rest will come. Tentively I wanted to visit 15 cities with just short stay in each city. I am still planning on the feasibility for it. After all I don't set my budget too much for this trip. Back packing style. I still need to book for ground transport and also hotel. To do so I am thinking of planning the stay based on my places of interest. The more the places, the more stay I will be at that city. I'd been to Rome before. Thus not adding it in the list. WOAH ! KAGUM GILA !